Robert’s music career began in 1995, when after submitting a CD of his work to BBC Radio Derby presenter Ashley Franklin for his ‘Soundscapes’ show his music was signed to the ambient / electronic music label AD Music. 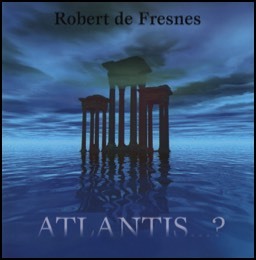 Robert produced two albums during his time with AD, Atlantis (1997) and it’s follow up Mythology (1999). Both albums are hailed as ambient / new age classics to this day. Robert signed with his first main publisher in 2001, Paul Rodriguez Music, who specialised in music for TV and he soon found himself writing for various TV shows and game shows around the world. During this time Robert was also introduced to the world of library and production music after submitting some of his music to Dr Wayne Bickerton at Odyssey Music. In 2003 Robert left Paul Rodriguez music and one of his first projects was to provide the top line melody and lyrics to a dance backing track by production team Narcotic Thrust. They liked what they heard and decided to go with Robert’s top line (I Like It) as their second single. Within a short space of time Pete Tong had played ‘I Like It’ on his BBC Radio 1 Essential Selection show. The following week he made it his Essential New Tune and then two weeks later ‘I Like It’ went to number one in the UK Club Charts. BBC Radio 1 then play listed the single and it remained on the playlist for 7 weeks. In April 2004 Narcotic Thrust’s ‘I Like It’ was a top ten hit in the UK and the song went on to achieve top ten status in over thirty other countries including the USA where ‘I Like It’ also won the Best Pop Song for 2005 at the IDMA Miami Conference Dance Awards, winning against George Michael’s ‘Amazing’ and ‘Toxic’ by Britney Spears. The song was also used in the hit film ‘It’s All Gone Pete Tong’. During this time opportunities came thick and fast for Robert and he signed a publishing deal with Jazz Summers and Tim Parry at Big Life Music where he spent 3 happy years working with many dance producers and writers as well as some more obscure projects including producing Eurovision star Gina G’s comeback single and remixing Prog Rock legends Marillion. During this time Robert continued to build on his impressive library music catalogue and continued to secure usage of his music across many of the main world-wide TV networks. In 2008 Robert left Big Life Music for pastures new and set up Cubit Recordings together with co producer Chris Bucknall and PR agent Jenny Stanley Clarke. 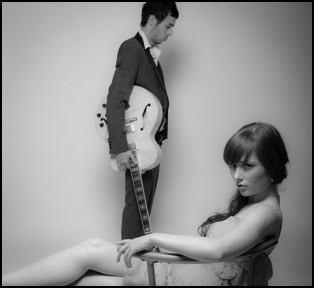 One of their first releases was an act spotted by Chris at an open mic night in Derby, the pop jazz duo Miss 600. Their debut single 'Twist' (co written and produced by Robert) achieved A list status on the BBC Radio 2 playlist in the summer of 2011, staying on the playlist for an amazing eight weeks, while also achieving several thousand plays on the BBC Local Network playlist. 'Twist' also became the first single by a debut act, on an independent label (not affiliated to a major label) to make the BBC Radio 2 A list in over 20 years. Quite an achievement ! Miss 600's following singles 'Typically Me' and 'Hello' also made the Radio 2 and BBC Local Network playlists, while also achieving TV placements on such shows as Coronation Street, Emmerdale, Eastenders and Not Going Out. 'Hello' also featured as the main theme to Channel 4's coverage of the Crufts dog show in 2013. Since then Cubit has achieved a steady stream of releases and successfully licensed tracks worldwide to labels such as Universal Spain, Universal Poland, Sony Germany, Membran, Next Music South Africa, ViDisco Portugal, Dance Paradise Russia and many more.